We would like to thank all our participants and friends for your support in 2010, and we hope to be able bring more coaching sessions to you, making the process of learning photography fun. Tomorrow sparks a new dawn of the next decade. For explorenation in 2011, Andy and I are planning a new series of workshops, with Cuba and Rome for the first half of the year. Just quickly posting this photograph taken at dawn in Pushkar, at the camel festival, during our recent workshop to Rajasthan. I particularly like the mood and the setting of this image and its depiction. These are camel breeders come together once a year to these barren hills outside Pushkar, about 150 kms north of Jaipur, bringing with them over 30,000 animals, camels and horses too, to trade. 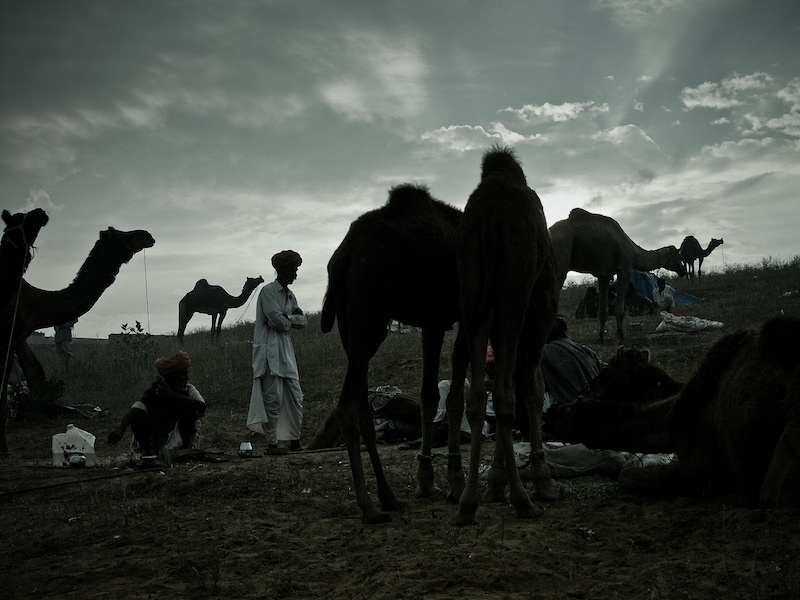 Pushkar opened my eyes in many ways, to new experiences only gained through the act of travel and being there. No matter how many guide books I read about the festival, it does not really do it justice.